The City of Asbury Park is a HUBZone! The U.S. Small Business Administration's Historically Underutilized Business Zone (HUBZone) Program helps small businesses gain preferential access to federal procurement opportunities. The entire city of Asbury Park is a HUBZone. For more information about the SBA's HUBZone Program, including how to apply for certification, please visit the program website. 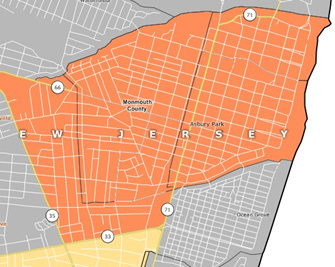 Interested in Locating Your Business in the Asbury Park HUBZone? Our HUBZone Business Development Packet will soon be available on this website and contain valuable information about the City of Asbury Park. Already have a Business in the Asbury Park HUBZone and want to take advantage of these opportunities? Existing Asbury Park businesses can apply for the HUBZone program providing they meet the criteria outlined by the SBA for a small business. The application process takes approximately eight months to complete. Start the process at http://www.sba.gov/content/applying-hubzone-program.